The M2i.49xx Express series allows recording of up to eight channels with sampling rates of 30 MS/s or four channels with sampling rates of 60 MS/s. These cards offer outstanding A/D features both in resolution and speed for PCI/PCI-X and PCI Express. The cards can be switched between Single-Ended inputs with a programmable offset and true differential inputs. If used in differential mode each two inputs are connected together reducing the number of available channels by half. 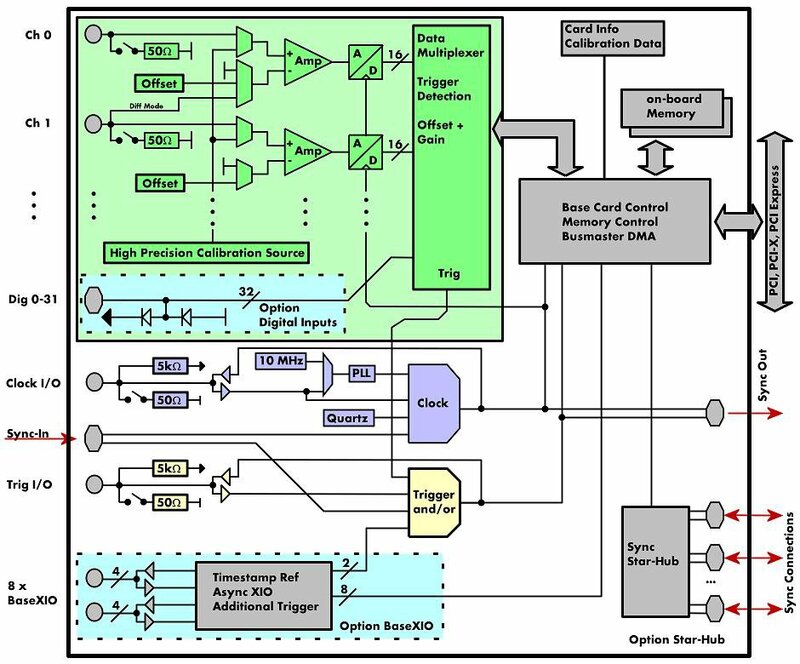 The 16 bit vertical resolution have four times the accuracy compared to 14 bit cards and sixteen times the accuracy if compared with a 12 bit card. 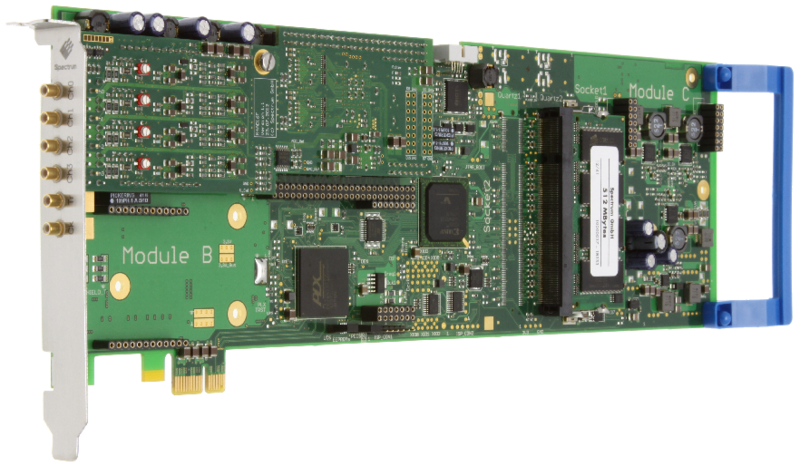 All boards of the M2i.49xx series may use the whole installed on-board memory of up to 1 GSamples, completely for the currently activated number of channels.